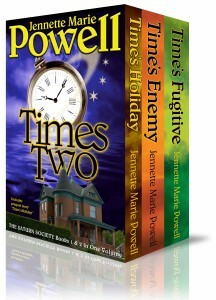 One man against a secret society of time travelers – and the woman he loves. Tony Solomon never wanted to be a time traveler. But when a freak accident gifts him with the ability to travel in time, he becomes an unwilling initiate in a secret society of time travelers. Determined to prevent his daughter’s murder, he violates the Society’s highest law and becomes a fugitive. When the Society refuses to tell Tony how to time-travel within his own life, he seeks help from Charlotte, the woman whose life he saved during a prior trip to the past. When Tony arrives in 1933 looking for answers, Charlotte is both thrilled and terrified to see her childhood hero. Loyal to the Society, she is honor-bound to bring to justice those who manipulate time for their own gain. In giving him sanctuary, she faces a terrible choice-condemn the man she loves and to whom she owes her life, or deny her deepest convictions by helping him escape and risk sharing his sentence. 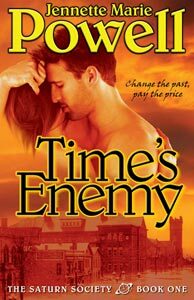 Buy Time’s Enemy at Amazon | Barnes and Noble | Kobo Books | Smashwords | Sony | Apple and many other online retailers. Print edition available at Amazon, BarnesandNoble.com, or by request at your favorite bookseller. 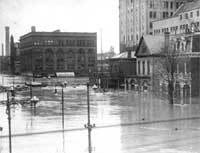 Violet Sinclair remembers nothing of her life before the day she awoke several years earlier, drenched in blood that wasn’t hers. But since she met Tony Solomon, she’s been certain of one thing – sometime in her hidden past, she knew him… loved him… and did something terrible to him. Time-traveler Tony Solomon is sure he never met Violet before they were coworkers, yet she bears an uncanny resemblance to the woman he loved and lost decades before he was born. After an impulse encounter leaves Violet pregnant with his child, she becomes the target of killers from the future. Framed for murder, Tony will do anything to protect Violet and their child, even if their only escape is to jump into the past, something he swore he’d never do again. But when they jump back much further than planned, they find their troubles are only beginning—and secrets can get them killed. 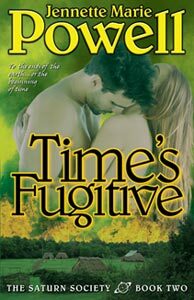 Buy Time’s Fugitive at Amazon | Barnes and Noble | Kobo Books | Smashwords | Sony | Apple. Print edition available at Amazon, BarnesandNoble.com, or by request at your favorite bookseller. 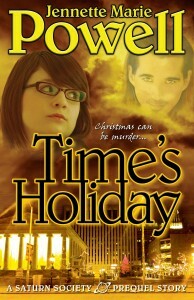 Buy “Time’s Holiday” from Smashwords, Kobo Books, Amazon, Barnes & Noble, Sony, and Apple. The Home for the Holidays anthology is available on these major online retailers as well. Now, get both Saturn Society novels plus a prequel short story in one value-priced anthology. Includes Chapter One of science fiction romance Hangar 18: Legacy.